For thousands of years, traditional ecological knowledge alone was enough to read the winds, know the temperament of the rains, when to expect hot spells, when to plant and when to harvest. A surge of unpredictable heavy rains, prolonged dry periods and extreme weather events, heralded by a changing climate, have complicated the reliability of traditional knowledge systems alone to shape promising seasons for farmers’ livelihoods. 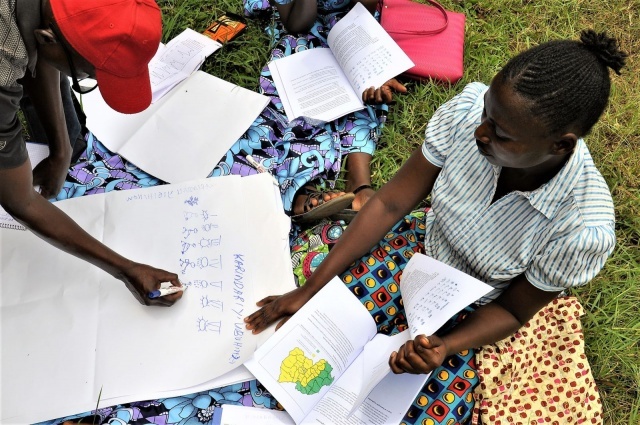 To complement these ancestral ecological ways of knowing, Participatory Integrated Climate Services for Agriculture (PICSA), developed by the University of Reading, facilitates informed decision-making by farmers by providing timely and location-specific climate information pertinent to agricultural livelihoods. 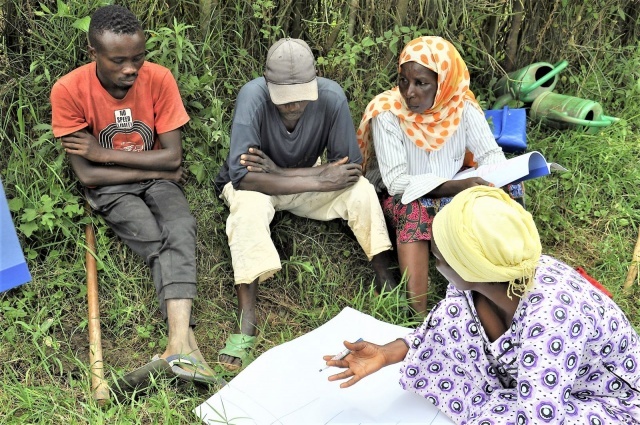 In February 2019, Meteo Rwanda, the Rwanda Agriculture Board (RAB), the International Centre for Tropical Agriculture (CIAT) and CCAFS gathered in Nyarugenge, Kicukiro and Gasabo districts of Rwanda’s capital, Kigali, to facilitate week-long PICSA trainings to more than 200 farmers, agronomists, socio-economic development officers, farmer promoters and agricultural extension workers. Since the RCSA’s launch in 2015, PICSA trainings have been facilitated twice annually, before the start of each planting season. Culminating in Kigali and with the indispensable support of Caritas, Développement Rural du Nord (DERN), CIAT-Rwanda and CCAFS, PICSA trainings have now directly reached more than 150,000 farmers and agricultural extension workers in all 30 districts of Rwanda. Each of the farmers and agricultural extension workers present during the PICSA trainings stood not only for themselves, but instead also represented groups of around 20 farmers from their respective districts, allowing the participatory approach to spread its impact and reach. Main partners of the RCSA project include Meteo Rwanda, Ministry of Agriculture and Animal Resources (MINAGRI), RAB, CIAT, International Livestock Research Institute (ILRI), World Agroforestry Centre (ICRAF), International Research Institute for Climate and Society (IRI) based at Columbia University, University of Reading, Radio Huguka, DERN, N-Frnds and Caritas.